UC Berkeley and UC San Francisco are launching the Innovative Genomics Initiative to lead a revolution in genetic engineering based on a new technology already generating novel strategies for gene therapy and the genetic study of disease. The Li Ka Shing Foundation has provided a $10 million gift to support the initiative, establishing the Li Ka Shing Center for Genomic Engineering and an affiliated faculty chair at UC Berkeley. The two universities also will provide $2 million in start-up funds. 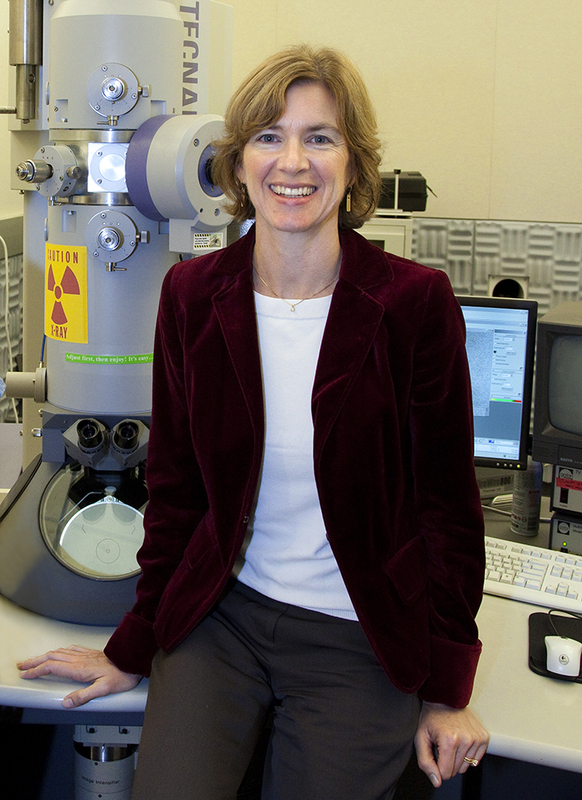 At the core of the initiative is a revolutionary technology discovered two years ago at UC Berkeley by Jennifer A. Doudna, executive director of the initiative and the new faculty chair. The University of California, Berkeley, and UC San Francisco are launching the Innovative Genomics Initiative (IGI) to lead a revolution in genetic engineering based on a new technology already generating novel strategies for gene therapy and the genetic study of disease. Jennifer Doudna, executive director of the new Innovative Genomics Initiative and the new Li Ka Shing Chancellor’s Chair in Biomedical and Health Sciences. Human cardiac myocytes (muscle cells) stained green for proteins encoded by edited genes using the new CRISPR/Cas9 technology. “It’s for the Lurie Prize,” she says simply — the prestigious Lurie Prize in the Biomedical Sciences, awarded last month by the Foundation for the National Institutes of Health in recognition of her discovery and the research leading up to it. Doudna, Charpentier and their colleagues devised the editing strategy by manipulating an immune defense system used by bacteria against viral attack. The surprisingly sophisticated microbial defense was identified less than ten years ago. Researchers discovered that when a bacterium is invaded by a virus, it “saves” a snippet of the viral DNA – called a spacer — and inserts it into its own DNA. Ultimately, the bacterial genome becomes studded with the spacers from different viruses the microbe has encountered — a virtual “mug shot” of invaders, as one observer called it. CRISPR/Cas9 is simpler, quicker, more precise and versatile than current genomic engineering techniques — a kind of one-stop genomic editing shop. Doudna thinks advanced genomic engineering techniques like the one she developed will first aid research and treatment “ex vivo” — withdrawing diseased cells in human blood, restoring genetic defects and then introducing them back into the patient. Other genomic strategies are already being tested in this way in clinical trials to treat sickle cell anemia and HIV.